Back in the day, when a business needed a website, they would go to a web developer and pay them to build a website. That website was built usually in HTML, PHP or other coding. Once the site was built it was next to impossible to edit pages for the site owner. So the site owner would have to hire the developer again and pay them again to make changes. With WordPress this dilemma is removed. WordPress offers a simple text editor that anyone with knowledge of Microsoft Word, could handle making edits. Originally WordPress was meant just for a blogging platform. But over the years it has evolved into a content management system that is used for all sorts of website. there are other CMS platforms out there, like joomla and Drupal, but for beginners and novices, WordPress is the easiest to learn. The beauty of WordPress is it’s simplicity, one afternoon of editing pages and posts and you will have a pretty good grasp of it. Now of course there is more advanced things to do, but another great thing is WordPress is open source, so there are a ton of free tutorials and plugins to help you. 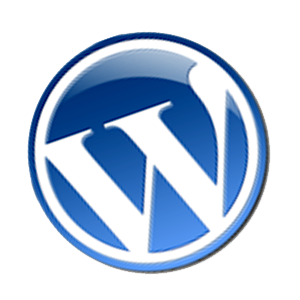 To install WordPress, you will need a hosting account and a domain. The host will need to set you up a database, once you get the login and password, you edit the config file and upload all the files then follow the on screen instructions in your browser. If that is over your head, hosts like GoDaddy have WordPress option, just click a button and they install the whole thing free. Once installed you can start making pages or posts, or maybe you want a different theme, there are tons of free themes available all over the internet. Loading one is simple, just download the zip file and upload the themes files in the backend and that is it. Speaking of plugins, you want a poll on your site? There is a free plugin for it. Plugins add tons of functionality to your site without you ever having to learn code, and because of open source platform, a majority of them are free. If you would like to try WordPress for free, you can go to WordPress.com and start a blog and see if it is right for you. These are just some of the benefits of WordPress, in future posts I will post tutorials on how to do things in WordPress and cover some of the other CMS platforms like Joomla. WordPress is the best CMS I have used ever. Joomla and Drupal is for advanced user.